Travel Is Montenegro The New Monte Carlo? If the Adriatic is hot right now, Montenegro is on fire. A decade after declaring its independence from Serbia, the Balkan beauty is hitting its stride with sophisticated new marina, luxury hotels, and a gorgeous coastline drive. So have we been missing? Buckets of beauty in one little country. Montenegro is about a tenth of the size of England and it takes just four hours to drive along the Adriatic, weaving between the Bay of Kotor (a UNESCO World Heritage Site), along sinuous mountain passes, and past the medieval towns of Budva and Stari Bar. To make the most of a trip to Montenegro, here are a few essential stops and experiences—whether you’re exploring by car, chopper or superyacht. Located along the central coastline, Aman Sveti Stefan looks as if it’s been plucked from a fairytale. 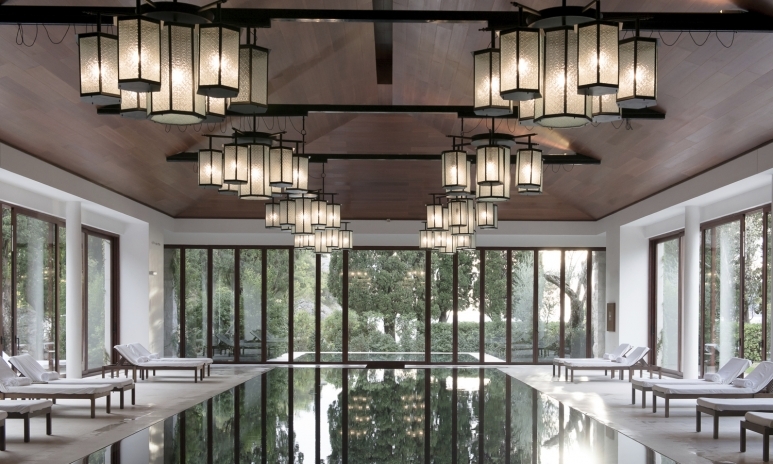 Aman has converted a 15th-century fishing village into an exclusive retreat, where luxurious cottages have welcomed the likes of Queen Elizabeth II and Sophia Loren over the years. One look at the cobbled village lanes and cliffside restaurants, and it’s no surprise that the hotel is often used as the postcard image of Montenegro. Elsewhere on the grounds, find a sunset cocktail bar, separate spa complex, cliffside pool, and three separate pink-stone beaches—each more pristine than the next. 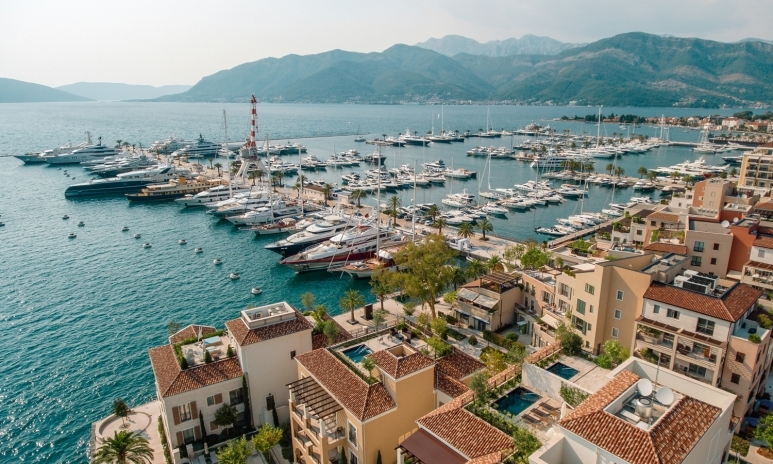 Montenegro’s harbours are a magnet for ultra-posh superyachts, and now there’s a marina worthy of their elegance: Porto Montenegro. Located near Tivat, on the western side of Kotor Bay, this state-of-the-art marina brings together more than 630 berths, 24-hour concierge service, jet and helicopter rentals, yacht repair facilities, trendy restaurants, waterfront hotels, apartments, and luxury shops—think Chopard, Diane Von Furstenberg, and Dior. Even if you’re not sailing through, the pristine coastal development is worth a visit for the manicured gardens and yacht-oggling. If you're hoping to set sail yourself, this is a smart place to start a maritime journey, given the easy access to the Adriatic, round-the-clock support, and elite yacht charter brokers. About 30 minutes south of the Croatian border, Kotor is the country’s most famous historic landmark. Hugged by Bay of Kotor and Mt. 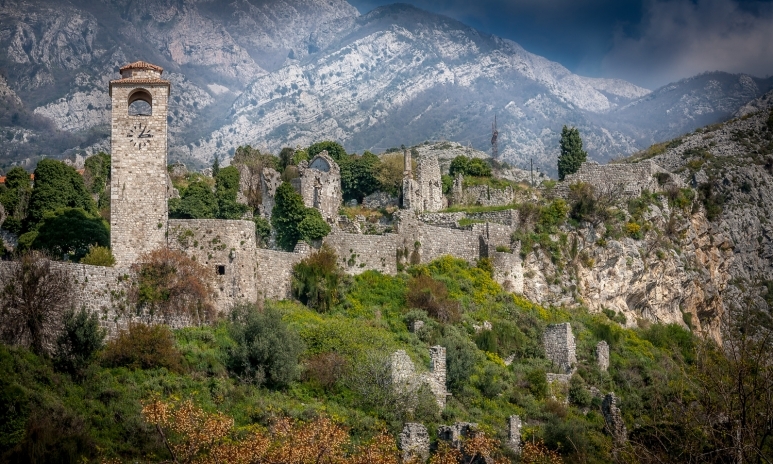 Lovćen, the well-preserved Old Town dates to 3,000 BC and has been listed as a UNESCO heritage site. 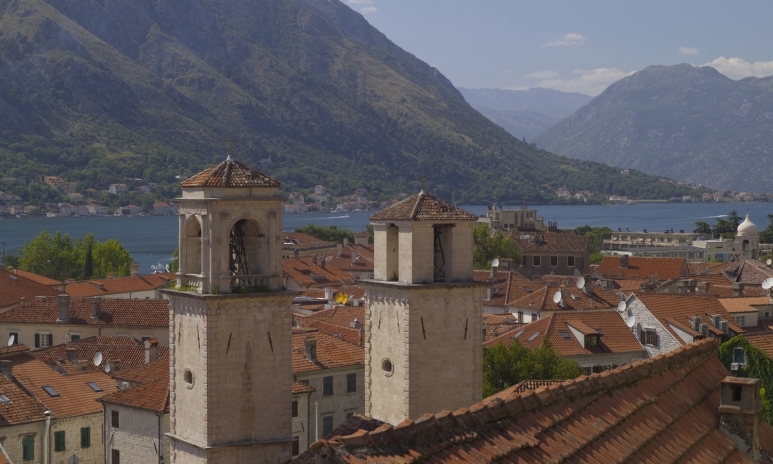 Kotor is thought to have been built by the Greeks, but over time it has developed a distinctly Italian feel with its Byzantine architecture, medieval piazzas, outdoor cafes, free-flowing wine and Romanesque churches. Be warned, though: this is often the first stop on cruise itineraries, so ask your concierge for timing advice. 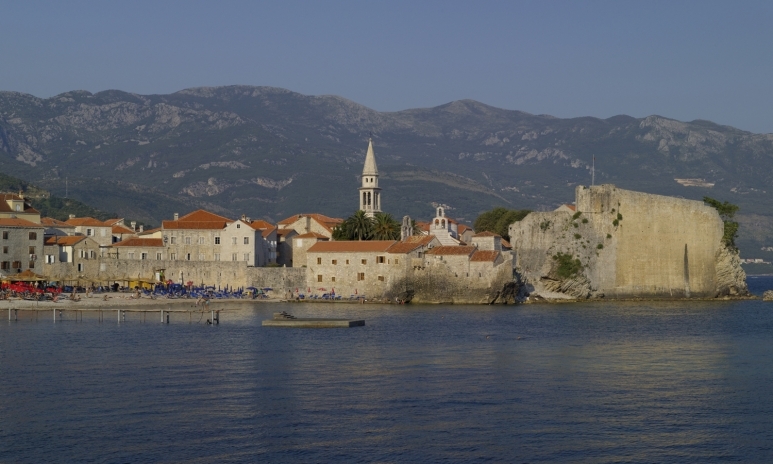 Just 30 minutes south of Kotor, Budva provides another charming Old Town experience. With its 2,500-year-old medieval architecture, the tiny peninsula village is incredibly scenic—picture mountains in the backdrop and the impossibly clear Adriatic Sea stretching ahead. Also in the area, there’s an ancient church, Saint Mary in Punta (built in 840 AD); ruins of Roman baths; and a scenic island off the coast, called Sveti Nikola. The island is home to three rocky beaches, easy enough to reach thanks to a string of water taxis that ply the route all day. To the far south, Stari Bar (meaning “Old Bar” in Montenegrin) is nestled at the base of Mount Rumija. The hamlet is home to the ruins of a beautiful 11th-century fort, which offers excellent sea views from the top, as well as a small museum and a handful of charming restaurants. For lunch, slip into an outdoor picnic table at Konoba Spilja—a rustic café serving up signature lamb and seafood dishes, seafood risotto and homemade brandy. 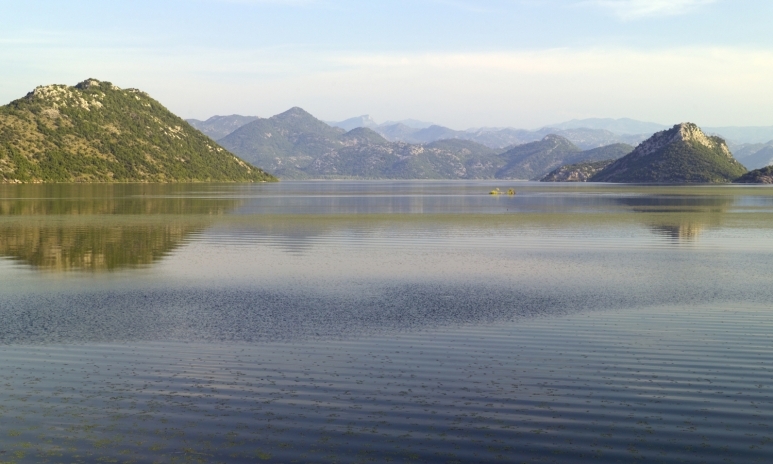 Straddling the southern border between Montenegro and Albania, Lake Skadar is the largest in the Balkans. Surrounded by imposing mountains and a pristine national park, the lake boasts several archaeological sites, tiny islets and villages which are easy to explore by car. With its wetland system, myriad bird species, lily pads and kayaking, the turquoise lake offers a quiet and relaxing escape for nature lovers.